Annapurna Pun Hill Panorama Trekking, a perfect adventure of less than a week duration where you can have enjoyable times on high hills of Annapurna Himalaya in the comfort of nice cozy lodges with warm hospitality of the local hill people and villagers. 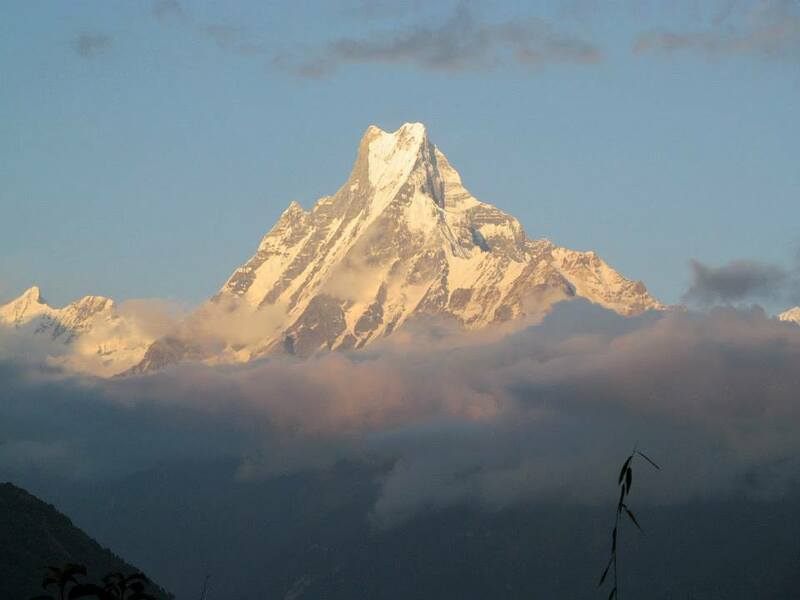 Annapurna Pun Hill Panorama Trekking leads you to marvelous and fascinating walks with daily views of massive Annapurna range of mountains with magnificent Machapuchare Himal famously known as Fish Tail due to its twin summated peaks, a virgin and unclimbed mountains of Himalayan range. 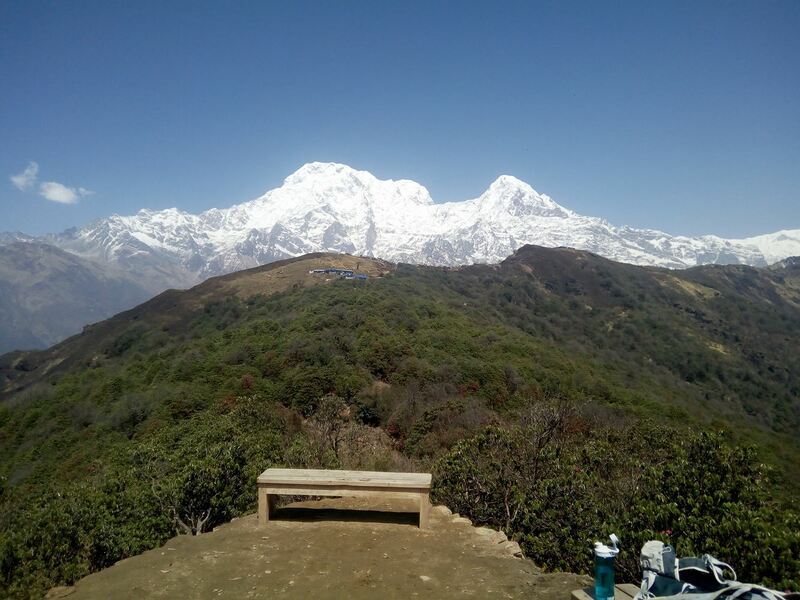 By nature there are farmers and cattle herders due to flow of trekkers the present village economy is through tourism with nice lodges to cater wide world travelers with homely comfort and hospitality where rooms faces views of Annapurna and Dhaulagiri peaks. 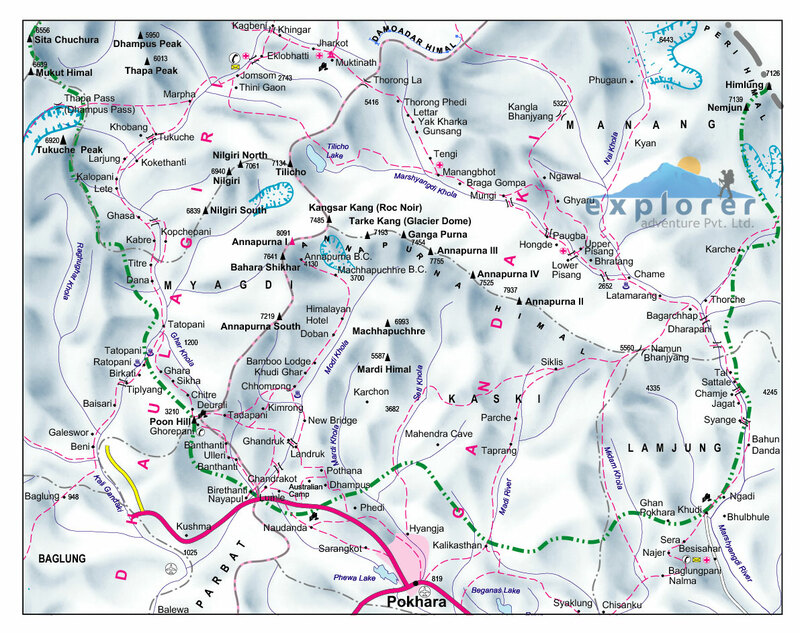 Annapurna Pun Hill Panorama Trekking commence from beautiful Pokhara with drive to the starting point of our walks heading towards mid hills on old Trans Himalayan Salt Trade Route of Nepal and Tibet which extends beyond Ghorepani towards Upper Mustang. Finally walk leads to our main destination at Ghorepani villages located in the midst of rhododendron forest, which is also a national flower of Nepal here with hike to Pun Hill for stunning panorama of worlds highest mountains Dhaulagiri-Annapurna and Manaslu range with array of peaks along with striking sunrise views. After an exciting and thrill on top highest point of Annapurna Pun Hill Panorama Trekking, above 3,210 m high descend towards warmer valley for the short drive back to Pokhara and then to Kathmandu with mesmerizing and wonderful time on Annapurna Pun Hill Panorama Trekking with Explorer Adventure and its team of expert guides and staff. 1 Day 1: Arrival in Kathmandu and transfer to hotels.On reaching Kathmandu Tribhuwan International Airport where you will be warmly received by our guide and staff and then transfer you to your respective hotels in the hub of Kathmandu city. First check into your hotel rooms on getting refreshed from the flight and with Jet-Lag, then join with other members of Annapurna Pun Hill Panorama trekking for group briefing, where our expert guides will inform regarding your stay in Nepal, hotels, trekking, local lodge and overland drives with do’s and don’ts information, evening welcome group dinner in authentic Nepalese restaurants with Folk cultural programs to entertain you during your meals. 2 Day 2: In Kathmandu with sightseeing tour around world heritage sites.Morning after breakfast leave the hotel for exciting guided sightseeing around Kathmandu where our city guide will lead you to places of interest, Kathmandu a metropolitan city still retains its ancient heritage and varied ancient culture where you will visit world heritage sites around Kathmandu for half day or full day. After an interesting and wonderful tour of ancient historical and religious sites around Kathmandu, with afternoon free preparation for next day journey to Nepal Mid West at Pokhara. 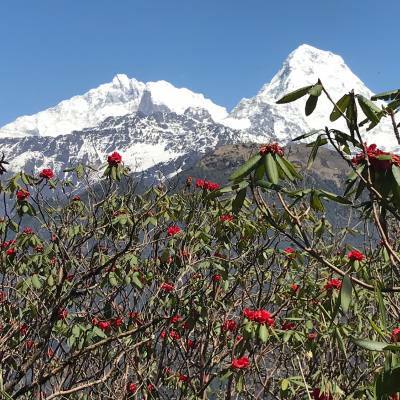 4 Day 4: Drive past Bhirethati and start trek to Ulleri village 1,720 via Tirkhedhunga 1,545 m - 03 hrs drive and 04 hrs walksAfter a nice and pleasant stop in Pokhara with excellent views of Annapurna Himalaya with majestic Machapuchare Himal, having breakfast an exciting drive leads you for few hours beyond Pokhara valley to reach our starting point of Annapurna Pun Hill Panorama trekking. Drive leads past Pokhara valley outskirt with marvelous scenery of Annapurna peaks and farm lands and then reaching much warmer areas of Nayapul town by the road side of Pokhara and Beni highway. From here following Modi River to a nice and lovely village at Bhirethati and beyond to begin our first day walks through farm villages with uphill on stone paved steps to reach at Tirkhedhunga With short rest at Tirkhedhunga, walks continue with a climb on nice stone paved steps leading up to Ulleri village for overnight stop within Gurung and Magar tribe village with views of Annapurna peaks. 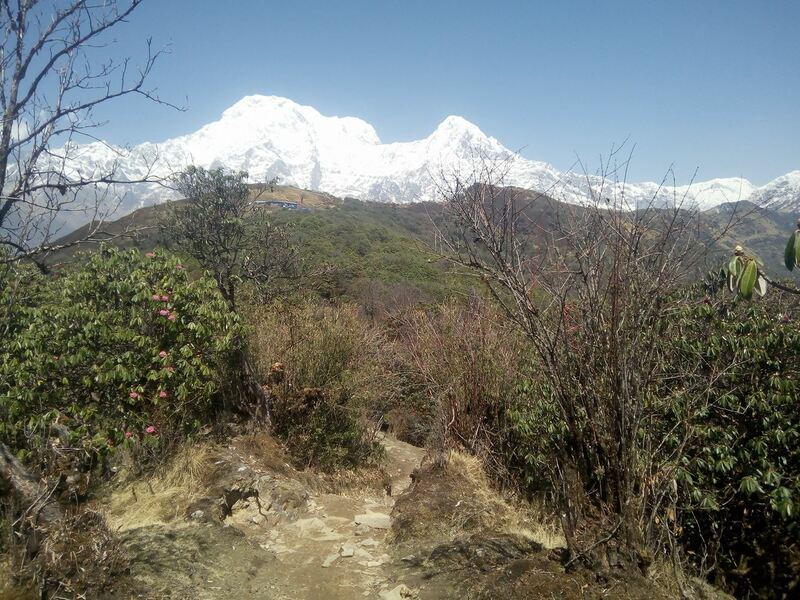 5 Day 5: Trek to Ghorepani 2,840 m - 04 hrs.From Ulleri short walk today of few hours leading to a gradual and slow climb entering into cool shade of forest full of rhododendron-magnolia-oaks and pines trees as walk progress reaching top of Ghorepani village also called at Deurali. Here the temperature gets cooler being close to the mountains with an altitude of above 2,840 m high surrounded by rhododendron forest with fabulous views of Dhaulagiri Himalaya with Annapurna South, Hiunchuli and Nilgiris against blue colored houses of Ghorepani, populated by famous hill tribe known as Pun Magar. 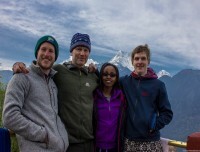 6 Day 6: Morning Hike to Pun Hill 3,210 m and trek to Tadapani 2,700 m - 05 hrs.Early morning hike up to Pun Hill for stunning sunrise panorama over array of Himalayan peaks of more than 360° wide angle views from Dhaulagiri-Nilgiris-Vara Shikar (Annapurna Fang), Annapurna range of peaks with majestic Machapuchare extends towards Lamjung Himal and Manaslu towards eastern horizon, after a wonderful moment head back to Ghorepani for breakfast and continue walk within rhododendron forest where climb leads you another Deurali offering views of snow capped peaks. Slowly walk leads downhill to another Bhanthati a small settlement located in a gorge then short descends with an hour climb up to Tadapani for overnight stop. 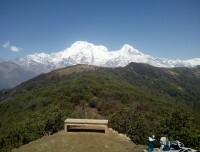 Tadapani with views of Annapurna South-Huinchuli, Machapuchare and Annapurna II, Tadapani located within forest surrounding. 7 Day 7: Trek to Tolka 1,640 m via Ghandruk and Landruk villages 1,460 m - 06 hrs.With morning grand views walk is pleasant into cool shade of woodland with downhill to reach at Ghandruk village, one of the largest village around Annapurna areas populated by Gurung tribe of Buddhism religion and culture. 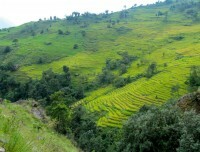 From Ghandruk descend to Siwai farm village situated by the Modi River and then an hour climb to another large Gurung village of Landruk, where walks gets gentle on winding trail with short uphill to reach at Tolka for overnight stop with views of Annapurna South and Huinchuli peaks. 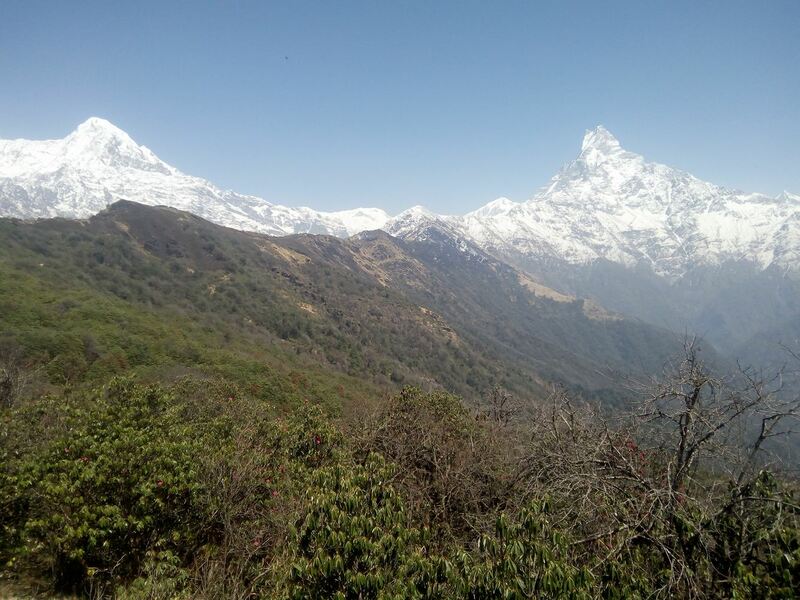 8 Day 8: Trek to Dhampus 1,530 m (04 hrs) then drive back to Pokhara 860 m - 01 hr.Morning walk leads through farm fields and small villages of Bheda Kharka on moderate winding path and then a climb for a while to reach on top Pritam Deurali overlooking views of Annapurna and Dhaulagiri with dramatic scenery of landscapes and then downhill to Potana with constant views of peaks and then finally ending our last day trek at Dhampus. 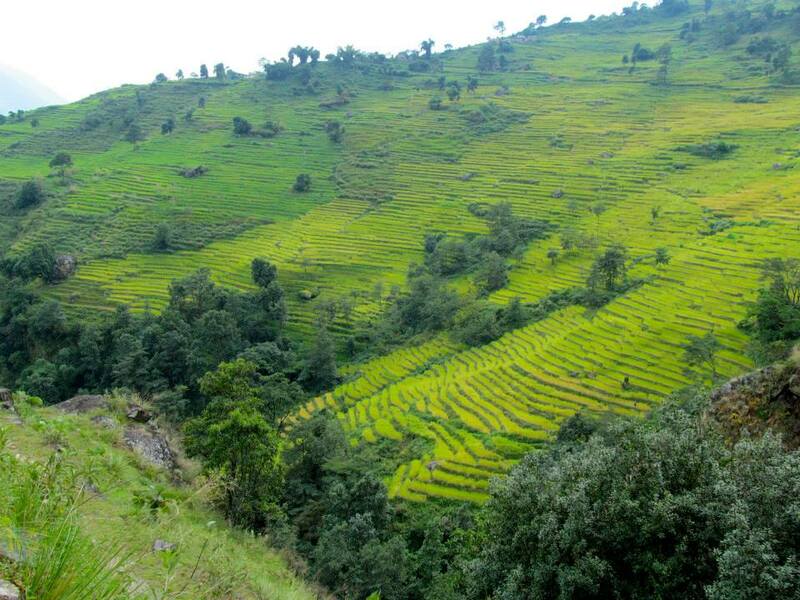 Dhampus village located on a high ridge offering incredible panorama of snow capped mountain range, from here our walks completes with a short drive back to picturesque Pokhara by the Phewa lake side. 9 Day 9: Drive or fly to Kathmandu and then transfer to your hotels.Morning transfer into a vehicles either by car-coach or in tourist bus (as per the size of the group), for overland journey back to Kathmandu with scenic views of mountains, green scenery of hills and farm fields within nice villages and towns as drive brings you back at hustle and bustle city life of Kathmandu. On reaching Kathmandu transfer to your respective hotels with time for individual activities and shopping souvenirs. 10 Day 10: Depart for international flight home ward bound or to respective countries.Your last memorable day in Nepal after a wonderful experience on Annapurna Pun Hill Panorama trekking with great service of Explorer Adventure, and as per your international flight then transfer to Kathmandu international airport for homeward bound or to your respective destinations. People and Culture: Mostly inhabited by Gurung and Pun / Magar with both Buddhist and Hindu religions and varied culture and colorful age-old custom. Walking Hours: From minimum 4 to maximum 6 hrs.